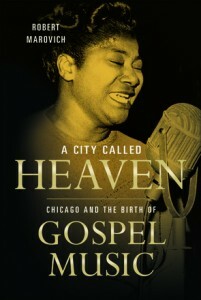 In 1945, a group of teenagers assembled at Chicago’s Highway Baptist Church with the intentions of forming a singing group. The group consisted of Sam Cooke, Creadell Copeland, and two pairs of brothers, Marvin and Charles Jones and Curtis and Lee Richardson. This would mark the beginnings of the Highway QCs. During the early years, the group would experience years of personnel changes. Sam Cooke’s decision to leave the group to join the Soul Stirrers would make way for the introduction of his replacement, Lou Rawls. Rawls would stay for two years and leave to join the Chosen Gospel Singers of Los Angeles. He would be replaced by Johnnie Taylor. In the interim, the QCs made their recording debut on the Vee Jay label in 1955. Shortly thereafter, Spencer Taylor (cousin of Johnnie) would become a member of the group and upon Johnnie Taylor’s departure to go and join the Soul Stirrers following the departure of Sam Cooke, Spencer Taylor would lead the Highway QCs for more than 5 decades. The legacy of the Highway QCs is continued with the addition of Taylor’s sons, Spencer Taylor III and Lynn “Fuzzy” Taylor joining their father in the group. With no signs of slowing down, the Taylors have secured their mark on the future with the launch of an independent label and preparations for a new disc from the Highway QCs in the fall of 2014. 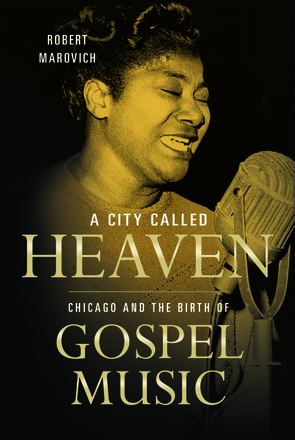 Chicago Tribune music authority Greg Kot grants us insider access behind the music and into the lives of one of the premiere family groups in Gospel music as told through the lens and perspective of music icon Mavis Staples. 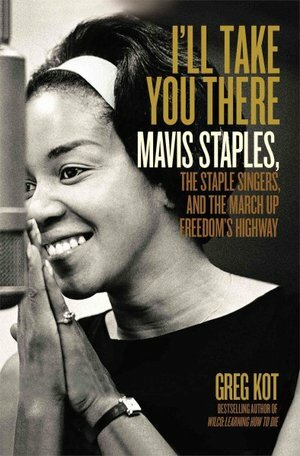 I’ll Take You There: Mavis Staples, The Staple Singers, and the March Up Freedom’s Highway tells the story of Roebuck Staples, his life in Mississippi and relocation to Chicago, the birth of his children and their use of singing as a daily family activity after Pops returned home from a long day of work. Kot takes us on an open ended journey covering 60 years of music, beginning with Mavis’ recollections of their first performance as a group in their aunt’s church (where they had only prepared one song and sang it again as the encore) to their first recording session arranged by Evelyn Gay. Pops bluesy guitar coupled with their carefully woven harmonies would land them a deal with the Vee Jay label and take the group on to various travels on the Gospel highway as they are introduced to the music giants of the day including Sam Cooke, Lou Rawls, Reverend CL Franklin and daughter Aretha, Mahalia Jackson, Bob Dylan and many more. Pops and the Staple Singers would befriend and have close relationship with Dr. Martin Luther King, Jr., and their music would instill messages of hope and ignite passion and kindle the fire of the civil rights movement. I’ll Take You There lives up to its title, taking us through the life changes and adjustments as the group grew in popularity, through the Gospel music years, transitioning into message music and the catapult into the heyday of the Stax and Muscle Shoals jubilee. 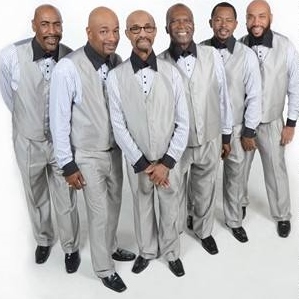 We get to experience Pervis’ coming of age and leaving the group to pursue other interests including the management of the Hutchinson Sunbeams (who would go on to great success as the Emotions), Mavis’ marriage proposal from Bob Dylan and her collaborations with Prince and Wilco’s Jeff Tweety, Pops’ Grammy win and BeBe and CeCe Winans pay homage to the group with the cover of I’ll Take You There. Reading I’ll Take You There will engender a greater appreciation for the Staples and their sizable contributions to music and society as a whole.